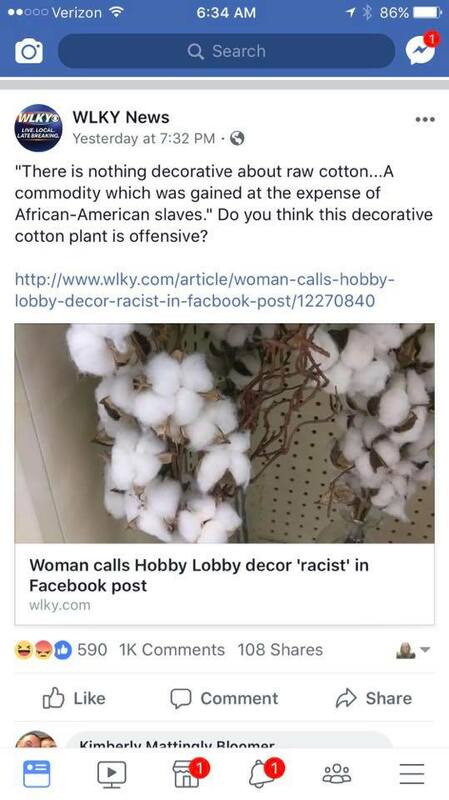 Three local TV stations putting trash on Facebook. As Gay Adelmann pointed out, three local Louisville stations posted their own versions of the exact same story today. All three of these are “news” reports about a Texas woman’s Facebook post. Yes, three-fourths of our local stations felt the need to report a story about a random woman’s social media thoughts. 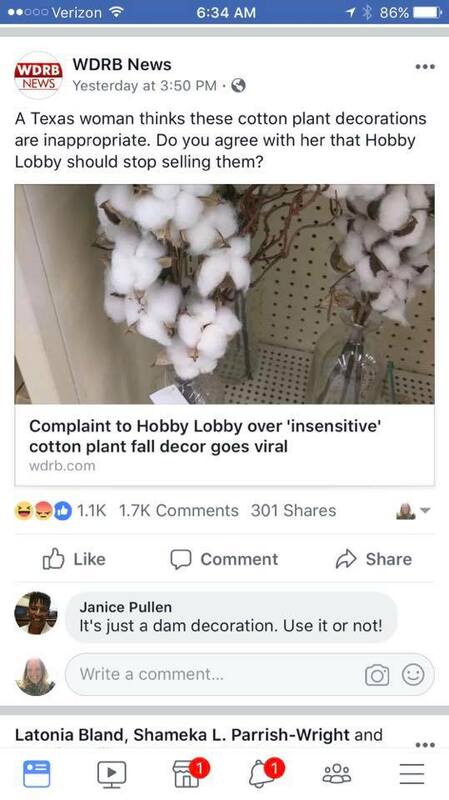 But it’s not just our local stations that saw fit to share this “story.” If you type “texas woman cotton complaint” into Google, you find that dozens and dozens of local “news” stations and websites have done the same thing. Adelmann called the story both “click bait” and “race bait,” and I think her assessment is accurate. All you have to do is briefly skim the comment sewers on any of these sites to see that the articles are deliberate attempts to provoke a certain demographic that is highly likely to watch local TV news — older, less educated conservatives. So what does this incident tell us about local TV news outlets and their behavior on social media? 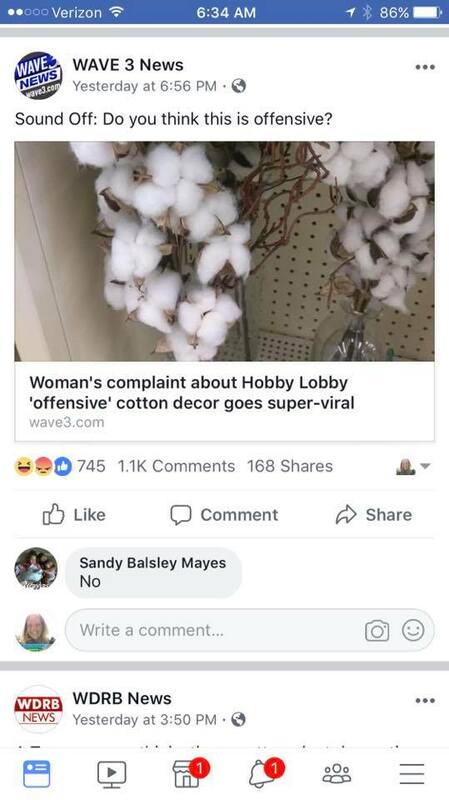 They are more than willing to stoke racial tensions and encourage the worst types of internet commenters by posting pointless, insignificant stories like this. They are imitators, not innovators. Look how many “news” outlets posted this story on their websites. They saw it go viral for other organizations and they wanted some of those eyeballs. I should add that this doesn’t just happen with non-news stories that appeal to conservatives — it also happens with liberals. For just one example, take a look at this On the Media report about liberals’ susceptibility to Russia conspiracy theories. Fact-check the story. Was the story told on multiple news outlets? Was it confirmed by outlets that are ideologically different from (or even opposed to) the original source? Was it confirmed by multiple name-brand, known-quantity outlets, or by a bunch of websites you’ve never heard of? Let’s say you’ve fact-checked it and it turns out to be true. Then ask yourself: Why are the news outlets publishing this story? Is it truly newsworthy? Will it have any actual impact on your life? Or is it just reinforcing your own beliefs about the world? So the story may be true, but it’s not really newsworthy. Now what? It’s easy: Don’t share this crap. Don’t click like, or share, or retweet, or whatever. If possible, hide it in your feed. Not only are you doing yourself a favor, you’re doing the rest of us a favor too — because social media companies use your participation to justify inserting that story into everybody else’s feed. If you don’t participate, that works against those types of stories. So don’t indulge. Move on.